Last spring Robert Harrod learned he was the 2019 Cape Henlopen School District teacher of the year. The affable biology teacher is now embarked on a new challenge as the head coach for the Viking golf team. “I love kids, and I love the game of golf,” he said. In a recent interview, Harrod credited Corey Groll with suggesting Harrod should take over the coaching responsibilities after Chris Krueger’s reluctant departure. Harrod described himself as an enthusiastic golfer, and said he takes lessons from The Rookery’s Butch Holtzclaw. He said he started playing “in earnest” about six or seven years ago, after Harrod and his wife Camilla moved to the Cape Region from Louisiana. The new head coach will have help. Assistant golf coach Sam Purple, a Cape middle school teacher and former standout player for the Vikings, is back again. She said she looks forward to working with an expanded lineup of players to build the program for the future. Seniors Dane Palmer and Saxon Kalb both made the cut for last year’s state championship, helping the Vikings to a ninth-place finish. Other returning Viking golfers include Nick Vitolo, Reed Jones, Anthony Koot, and Ben Skelley. 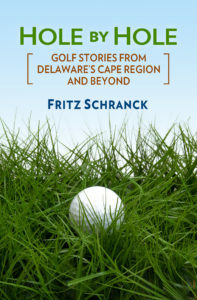 Several new golfers also hope to contribute to the team’s success this season. They include Quinn McCollough, Ryan Griffith, Jonah Robertson, Conner Wall, Flynn Kalb, Tom Burn, William Hickman, Jeremy Trost, Seth Reynolds, and Drew Kindl. If this real life story were a movie plot, there would also be a place for the plucky comic relief character. I plan to assume that role if all of the paperwork goes through that comes with being a volunteer coach for the District. I know several of the players already, and I believe I can help them compete successfully. I cannot be described as completely unbiased when it comes to Ping golf equipment. The two most important clubs in my current bag are a Ping G400 Max driver and an old Ping B60 putter. I also used a set of G10 irons for many years. I therefore made a determined effort to curb my enthusiasm at the 2019 PGA Merchandise Show, where I met Erik Henrikson, Ping’s Director of Innovation and Testing. The innovations are immediately noticeable. Unlike the highly successful G400 and prior models, the new driver includes an adjustable weight that can be placed in three locations: draw, neutral, and fade. “It gives players the opportunity to go left or right, but we didn’t want to sacrifice performance or forgiveness,” Henrikson said. The design also increased the moment of inertia at impact by one per cent, he said. 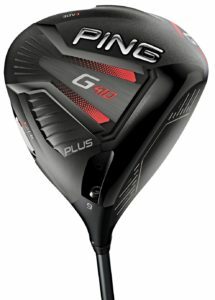 The G410 Plus comes in three lofts, at 9, 10.5, and 12 degrees. The G410 SFT model does not include the weight-shifting element of the Plus. Henrikson said the SFT weight distribution is designed for “extreme fade correction.” Golfers who fight a slice should discuss the SFT option with their club pros as a potential solution. As with other club makers, Ping offers several shaft options with no upcharge, including designs from Alta, Ping Tour, Project X, and Mitsubishi. We also discussed the new G410 irons, whose club heads are neither as long nor as offset as Ping’s previous game-improvement designs. Henrikson said the G410s include “high density tungsten weights in the hosel and toe” that increase the MOI for more forgiveness. He said the clubs’ appearance is closer to “players irons” because of the reduced offset and smaller size. That could also make them more appealing to a wider range of players. Ping has made great golf equipment for decades, and this year’s lines look like they will be a successful continuation of that heritage. And that is my unbiased opinion.